Planning a pink Christmas tree? This color pairs well with white, silver and gold and is a fantastic non-traditional color for the Holidays. 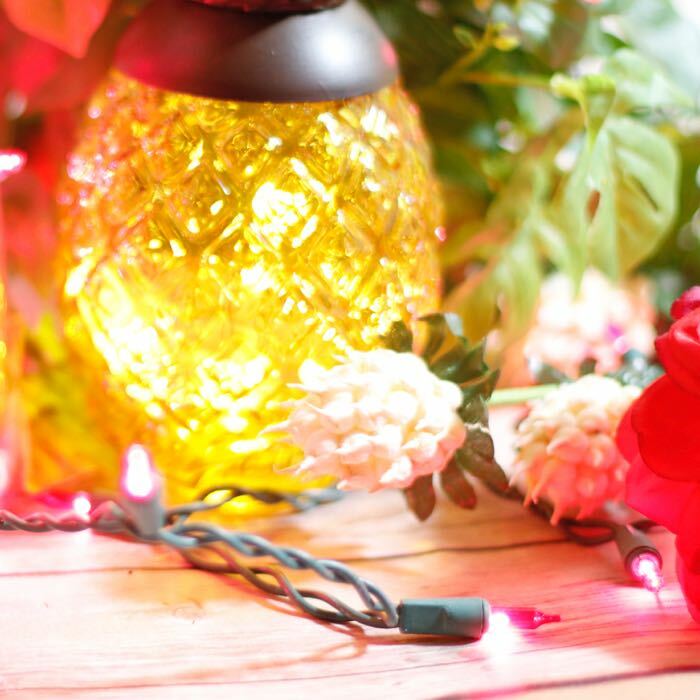 Whether planning a Princess party or lighting a tent for a breast cancer run, these lights strings are a great choice to brighten your party or project. Four-inch spacing is versatile and finds a happy balance between a number of lights and the amount of wiring you have to manipulate during install. During installation, a maximum of 5 strings can be run in series. 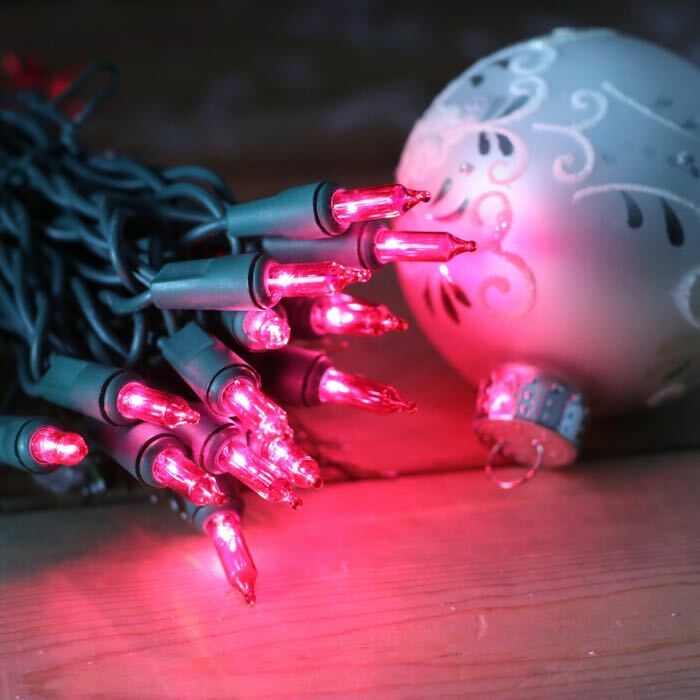 Just use a splitter or another extension cord to run more strings of lights. Be sure not to exceed the rating of your household breaker. Here's what one of our customers had to say about these mini lights. We just redecorated our daughter's bedroom in a Princess motif. Her walls are a pale pink. Her bedding really pops with darker shades of pinks against a white background. Imagine her surprise when she saw the lights we purchased from you all strung around her ceiling, swirled around her curtain rod, and around her new mirror! She squealed with delight!